The Children's Literature Archive is part of Centre for Digital Humanities, a Faculty of Arts research centre at Ryerson University. The collection came to be thanks to an initial donation of several hundred books in the summer of 2009. It now contains over 2500 texts for children written primarily between the late-nineteenth century and the mid-twentieth century, and continues to grow. The collection has particular strengths in adventure stories, fairy tales, and Canadiana, but also includes strong holdings in poetry, picture books, and pedagogical works such as science texts and primers, along with biographies of notable authors and other scholarly studies. Toys from the early- to mid-twentieth century were recently added to the archive as well, an aspect of the collection that will be expanded in the future. At present, the physical archive can be visited and used by appointment. An online, searchable catalogue is scheduled for release in fall 2013, together with some featured exhibits of some of the collection's more unique and interesting holdings. During the fall semester of 2010, the archive saw its first use as a pedagogical tool combining the study of children's literature and culture with the study of digital humanities and archiving. The Children’s Literature Archive is located in the Centre for Digital Humanities at 111 Gerrard Street, Toronto, ON. If you would like to access the archive, please contact Director Andrew O’Malley at aomalley@ryerson.ca. 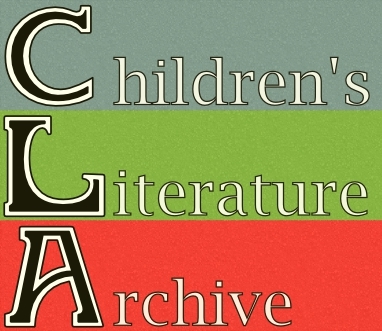 For news stories about the Children’s Literature Archive, click here.